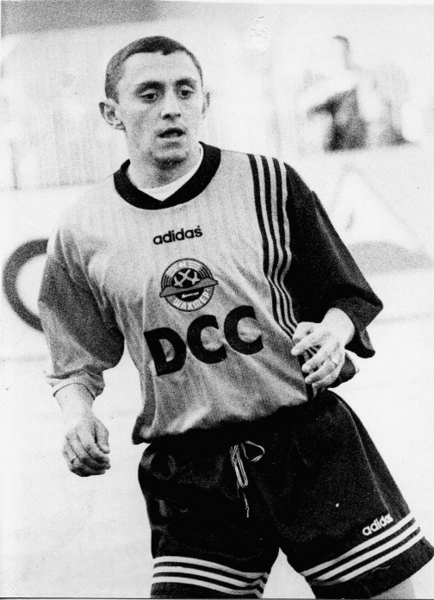 On July 23, Shakhtarmidfielder in the 1990-2000s and the Shakhtar U19 assistant head coach marked his 45th birthday. We send our heartfelt birthday greetings to our veteran. We wish him sound health, every success, peace and prosperity. In an interview to the official website, Gennadiy Obru spoke about the important date. - Gennadiy Grigor’yevich, can you believe that you’ve turned 45? - No, honestly, I feel much younger. At least in training with Shakhtar U19 I play as a neutral, and replace players. Maybe movement is youth. - The 45th birthday is, frankly, a special date. Did you mark it in any special way? - No, currently we have been preparing for the season, yesterday we had two training sessions. And, to be honest, I had no desire to celebrate it because of the situation in the country. My parents, relatives and close friends congratulated me on the occasion, but there was no celebration as such. I was watching football in the evening! - Did Shakhtar add any positive emotions yesterday night? - Of course, the team have delighted, perhaps, not just me, but all the fans. Before the meeting with Fenerbahce, Shakhtar showed that they remain to be the mission capable team. Even though a few leaders left, just as the saying goes: ‘The detachment didn’t notice that they’d lost their fighters’. - Do you keep in touch with your former teammates? - Sure I do. Now we are based in Shchaslyve and don’t only communicate, but also continue to work together with the former teammates. Yesterday, many comrades phoned me up and congratulated me. That’s very nice, thanks a lot to everyone!